The winners of the sweepstakes are Linda and Therese Decarlo of Westwood NJ. Linda submitted a sweepstakes entry for her mother. Here is the Audio below of when we called Linda and then when we called her mother Therese after. It seems that Therese is a Blessing to everyone she comes in contact with and plans to help others with the money she is saving with us paying her mortgage for year. 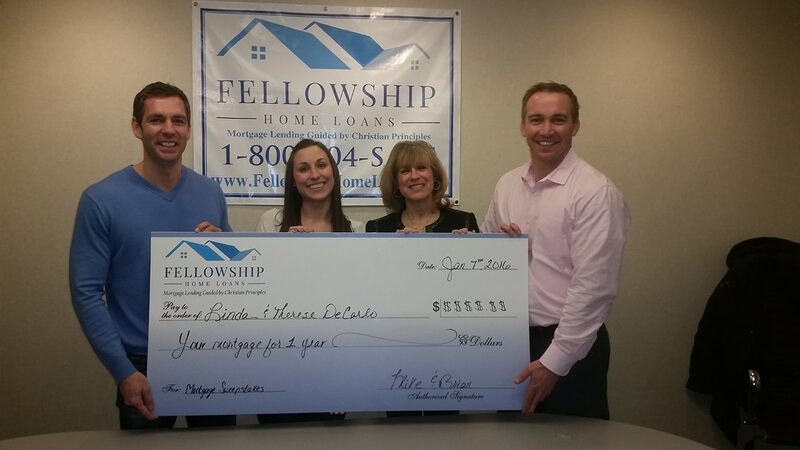 It was a Blessing for us to be able to help the Decarlo family and pay their mortgage for a year!